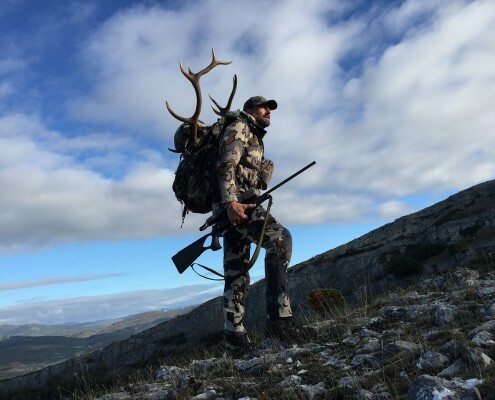 After more than 10 years organizing hunting trips and guiding hunters, specially for Spanish and European market, it´s time to extend our activity. With the impact of Social Media, contacting people from all over the world is easier day after day… and that includes hunters. Two Golden Rules are required to survive in this connected world, where everyone can be in touch with worldwide hunting Companies from their tablet just hitting a key: specialization and customization. It´s for this reason we have created Pyrenean Outfitters: an outfitting service dedicated to organizing the finest hunting trips in Spain, France, and some other places in the most awesome summits in the world. Pyrenean Outfitters is fruit of Jordi Figarolas´ experience guiding and hunting over 20 years. He has been looking for the best places, the best trophies and the best guides. Now, we can share together a lifetime experience. Make your hunting dreams a reality with us. Jordi Figarolas is a passionate mountain hunter. He is, at the same time, a hunting guide and outfitter. He speaks 4 languages. He has guided, hunted and organized trips all over the world. He guides Chamois hunting trips in the Pyrenees and he is PH in Benin for western savannah buffalo. Jordi personally or one guide of our staff will assist you during your entire trip. The passion that drives us to pursue our goal with zeal until we achieve it. No matter how far, high or difficult it is. It’s not only in obtaining our trophy where we have lived our experience, it’s also during the ascent, in the difficulty overcome, in the new limit reached. Because, when the adrenaline has worn off and when the blood has cooled, it must be the experience lived and not only the trophy obtained that pushes us to start again, to go back, to change and to start the journey again. In short: To come back to test our limits again. Would it be fair to only remember our trophy and forget the amazing view from the summit we climbed to reach it? Stop and look around you; soak up what you see and what you feel. And if you are able to, if we are able to together, wouldn’t you feel something more? Wouldn’t you feel that you have not only hunted, but also lived?